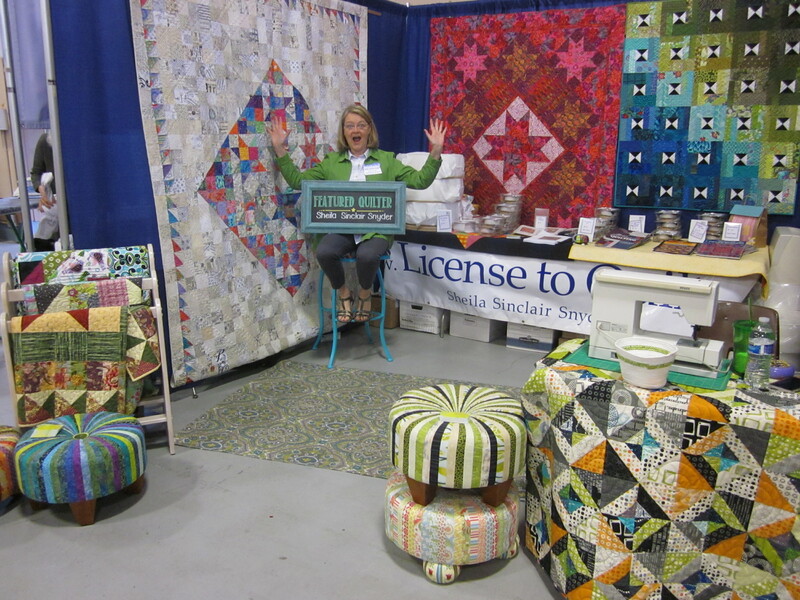 Thanks to the Umpqua Valley Quilt Guild, I got to spend a fun 3 days in Roseburg, talking (mostly) quilting! The quilters there are very familiar to me since I’ve taught there a couple times in the past, and are so friendly and supportive. A special thanks to Helen and Teri for their organization in putting the show together, and to Margo who was much more than a contact for the vendors, and for me, the Featured Quilter. I’ve included a pic the wonderful sign Teri made for me, I was so surprised to find it in my booth! The show was well lit, offered some great make-and-take classes and had a nice cafeteria with great food available. There were LOTS of great quilts, I got to spend a bit of time talking with the Best of Show designer and maker as she explained her inspiration and method for the beautiful landscape quilt she made. Fun weekend, filled with quilters and quilt talk, who could ask for more?